Welcome To Rock Rental! 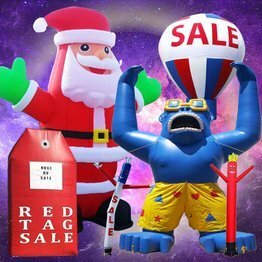 We Rent Inflatables In San Diego! Want to have a fun and memorable party? 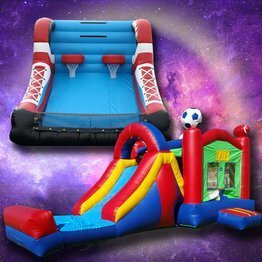 Entertain your guests with our inflatables, bounce houses, obstacle courses, mechanical bull, dunk tanks and, party rental equipment! 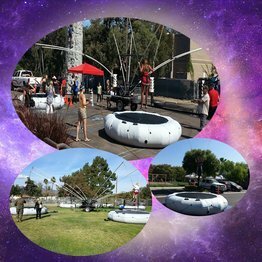 Reserve your inflatable rentals online or call us at (619) 800-8881 for more details. How cool is it to get a 10% commission just by referring friends and family to rent from Rock Rental? It's easy money! Just spread the word and for every referral, we will mail you a check for the 10% commission of the total amount of your referral's order. Start making money by telling your friends how fun it is to rent from Rock Rental! Just simply ask your friend to tell us they were referred by you so we can apply the discount. It's a win-win situation! Refer a friend now! If you don't see what you're looking for, call us because we have so much more equipment than posted on our website and ads. Ask about our winter deals. 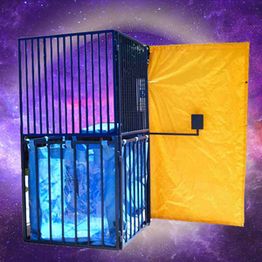 Ask how you can get a free bouncer, etc. 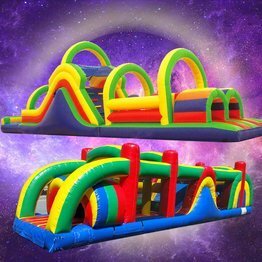 Rock Rental strives to be the best local source of inflatables, rock walls, dunk tanks, slides, water slides, interactives, sports games, etc. for your party needs and outdoor advertising. We pride ourselves in value and service. 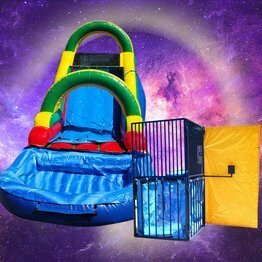 To reserve inflatable rentals such as bounce houses, water slide, interactives, obstacle courses and other party rental equipment, a 50%deposit is required at the time the order is placed. 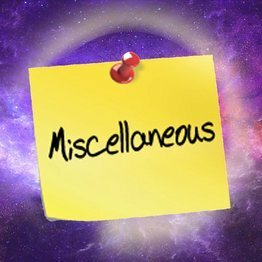 This deposit is refundable for as long as the event is canceled for a valid reason (i.e. weather, family emergency, etc.) prior to our drivers arriving at your location to set up. Rock Rental accepts MasterCard, Visa, American Express and, Discover. We also accept check or cash for payments. We are also accepting bitcoin payments. Receiving address: 1Le39GF1H56CfBNaeZDLDYZYRo8RZbzyqT. What are the areas we deliver to? How much is our delivery fee? The majority of these areas: San Diego, Imperial, Alpine, Orange, San Bernardino, El Cajon and, surrounding areas within 100 miles from our warehouse in Alpine. Rock Rental delivery fee is based on $1.00 per mile round trip without a trailer and the travel fee for 1 vehicle towing a trailer is $1.25 per mile one round trip from Alpine with a zip code of 91901. Note: For jobs longer than 100 miles from our warehouse, please contact us to get a delivery fee quote. 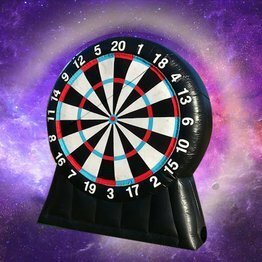 Q: Can customers pick up the inflatables? 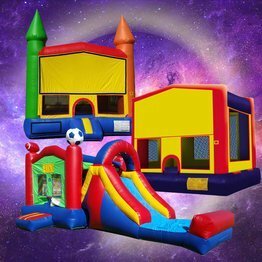 A: Only the inflatable bounce house and other small inflatables like the combo bounce house can the customers pick up from our storage lot. 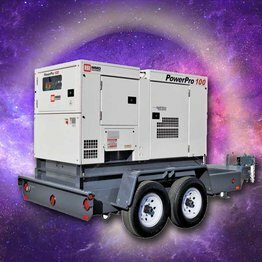 Q: What kind of power source do customers need for inflatables, do we need a generator? A: All inflatables need a power source of 120 volts AC wall outlet within 100 feet of setup if it's not available customers need to order a generator from Rock Rental. Q: Can customers use Rock Rental inflatable rentals and equipment if it's raining? A: Inflatables including the Quod Pod and Mechanical Bull can’t be run if it is raining. Q: Do customers need volunteers at the event? A: Everything we rent must have adult supervision when our equipment reaches the job site. 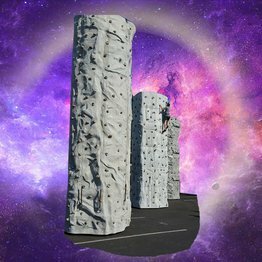 The large items like the rock walls, QP, and mechanical bull comes with adult staff. 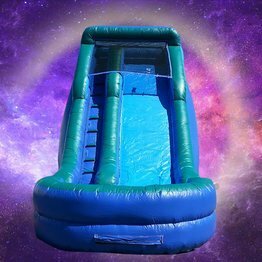 However, the inflatable bounce house, water slides, interactives, obstacle courses, dunk tanks and, just about everything else does not. The customer is required to provide adults to supervise the equipment or else we will not allow our equipment to be used by them. Q: Are Rock Rental's equipment insured? A: Yes! 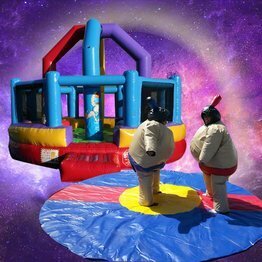 All inflatable rentals such as our bounce houses, obstacle courses, interactives, slides, water slides and, other party rental equipment are insured. 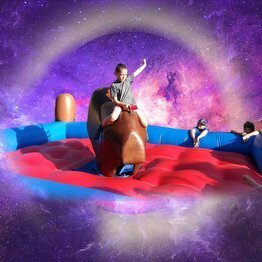 Our mechanical bull is the only thing we do not insure. Therefore, waivers are required to be signed by the parents or guardians of all minors. Most of our events with the Bull do occur because the waiver provides excellent protection for all the renter and Rock Rental. Plus, since 2000 we have never had an injury and or claim against us from our customers. San Diego County, CA: Alpine, Bonita, Bonsall, Borregeo Springs, Boulevard, Camp Pendleton, Campo, Cardiff By The Sea, Carlsbad, Chula Vista, Coronado, Del Mar, Descanso, Dulzura, El Cajon, Encinitas, Escondido, Fallbrook, Guatay, Imperial Beach, Jacumba, Jamul, Julian, La Jolla, Lakeside, La Mesa, Lemon Grove, Mount Laguna, National City, Oceanside, Pala, Palomar Mountain, Pine Valley, Pauma Valley, Potrero, Poway, Ramona, Ranchita, Rancho Santa Fe, San Diego, San Luis Rey, San Marcos, Santee, Santa Ysabel, San Ysidro, Solana Beach, Spring Valley, Tecate, Valley Center, Vista, Warner Springs. Imperial County, CA: Brawley, Calexico, Calipatria, El Centro, Heber, Holtville, Imperial, Niland, Octillo, Salton City, Seeley, Westmorland, Winterhaven. Orange County, CA: Anaheim, Atwood, Capistrano Beach, Corona Del Mar, Costa Mesa, Dana Point, East Irvine, El Toro, Foothill Ranch, Fountain Valley, Garden Grove, Huntington Beach, Irvine, Ladera Ranch, Laguna Beach, Laguna Hills, Laguna Niguel, Laguna Woods, Lake Forest, Midway City, Mission Viejo, Newport Beach, Newport Coast, Orange, Rancho Santa Margarita, Santa Ana, San Clemente, San Juan Capistrano, Silverado, Trabuco Canyon, Tustin, Villa Park, Westminister, Yorba Linda Riverside County, CA: Aguanga, Anza, Banning, Beaumont, Cabazon, Calimesa, Cathedral City, Coachella, Corona, Desert Center, Desert Hot Springs, Hemet, Homeland, Idyllwild, Indian Wells, Indio, Lake Elsinore, La Quinta, March Air Base Reserve, Mecca, Menifee, Mira Loma, Moreno Valley, Mountain Center, Murrieta, Norco, North Palm Springs, Nuevo, Palm Desert, Palm Springs, Perris, Quail Valley, Rancho Mirage, Riverside, San Jacinto, Sun City, Temecula, Thermal, Thousand Palms, Whitewater, Wildomar, Winchester. San Bernardino County, CA: Angelus Oaks, Bloomington, Bryn Mawr, Chino, Chino Hills, Colton, Fontana, Forest Falls, Grand Terrace, Highland, Joshua Tree, Loma Linda, Mentone, Morongo Valley, Patton, Pioneertown, Ontario, Redlands, Rialto, San Bernardino, Yucaipa, Yucca Valley.